More summer and less Monday I say! Because we have had more June gloom in July this year than ever before (well, at least it seems like it), I am craving warmer weather to enjoy the beauty that our area has to offer. As a former Californian, my summer daze in PNW is quite different than my summers at the beach. Here are some images that capture what a now Washingtonian looks forward to in the dog days of summer. Lake hikes with majestic views. Summer flowers that add color and fragrance to my home. Homemade popsicles with seasonal berries. Setting an outdoor table to dine with friends and family. A quiet cabin in the woods to rest and recharge. Sunsets over the sound, lakes, and mountains in the peninsula. Places we would like to see and the shoes we would take with us. If we were traveling to Cuba, we would go into the country and stroll through the tobacco plantations in our comfy slide sandals by Giulia Taddeucci. We would wear our Kupuri city sandals to sneak into the Castle of the Peratallada in Catalonia, Spain. We would pack an evening picnic and sip some Cava by the pool. Just don’t tell anyone we were there. In Tahiti, we would eat an early meal and wander back to our bungalow in our Satorisan sandals just in time to watch the sunset and the sky change colors. Who wants to go with us? 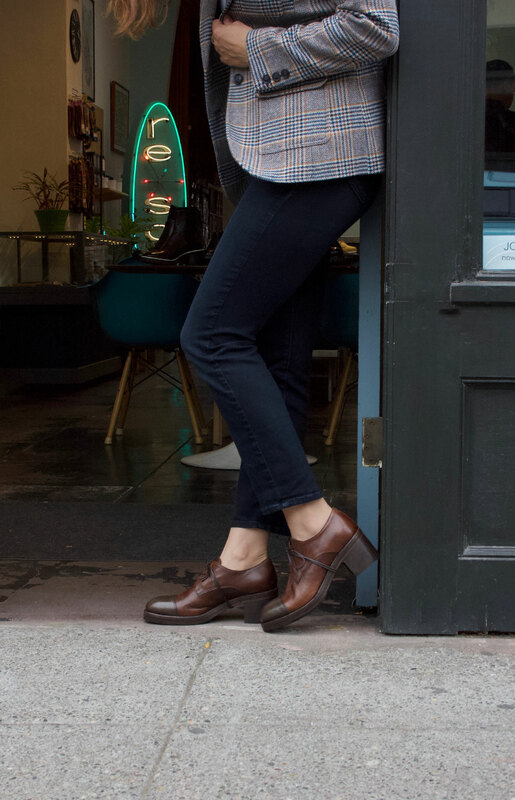 Each Wednesday we’ll answer the on-going question: “What do I wear with these?” It’s a question we get quite often here at the shop and we love giving suggestions when helping our customers. This week we focus on three different Kupuri styles to wear with midi skirts. We just received a new collection of spring shoes from Kupuri. The styles are fresh and feminine. Midi skirts over the last few seasons have gone from runway fashion to a staple in our spring and summer wardrobes. So, we thought it would be fun to show different styles of shoes you can wear with this on-trend skirt length. The most flattering and ladylike way to wear a full mid-length skirt is with a heel. We really like this t-strap with its neutral color straps, blocky heel, and comfy platform. Wear these when you want to channel your inner femme fatal. Each Wednesday we’ll answer the on-going question: “What do I wear with these?” It’s a question we get quite often here at the shop and we love giving suggestions when helping our customers. This week we feature the Beek “Robin” slide. A casual but chic alternative to the flip-flop. Wear these slides with a simple dress, culottes and a crop tank, or a crisp white shirt and patterned shorts. Complete your look with a clutch bag and a statement necklace. You will look put together and polished, yet remain cool in the heat of the summer months ahead. Strappy and bold, these are the summer sandals you could be wearing right now: 1. Kudeta back-zip sandal, 2. Chie Mihara “Etrus” sandal, 3. Coclico “Tyrion” sandal, 4. Cydwoq “Tomcat” sandal, 5. Walk “Collar” sandal. PS. Numbers 2,3 and 5 are on-saLe now too. Happy shopping! To view the other items featured along with their links as well as more outfit pairing suggestions, check out re-souL’s profile on polyvore. 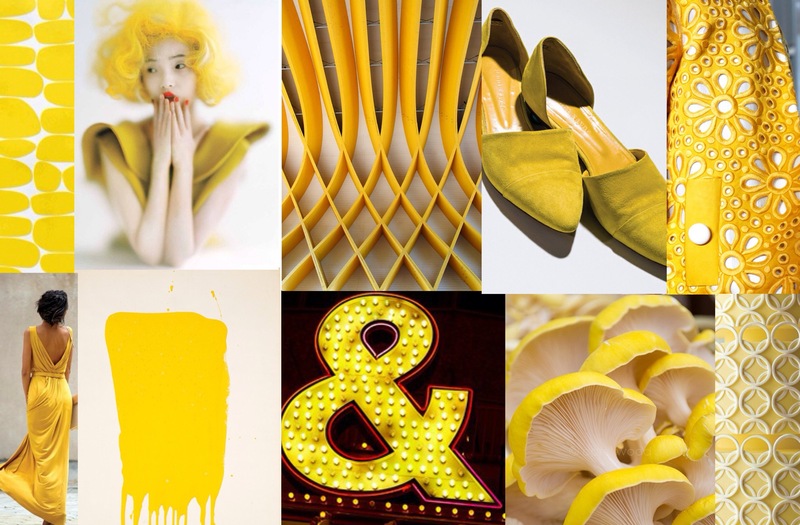 A complimentary color to almost anything, yellow brightens up our spirits and boosts our moods instantly. This season yellow has been shown on the runways in different shades, from the palest hue to the brightest of neons. We love yellow when worn with white, but yellow also looks great with navy and grey too. For a fresh twist, wear it with mint green or turquoise. Could you use a dose of sunshine? How about a little yellow? > Miz Mooz Presley wood wedge sandal in tobacco/lemon. > Vialis 5390 suede lace-up flat, made in Spain. > Sixty Seven Vivian Wedge in lemon, made in Spain. > MTNG Sarah suede desert boot in yellow, made in Spain.